You can go to Prasarnmit campus of Srinakharinwirot University many ways. We recommend these 3 easy and convenient ways to get to SWU Prasarnmit. Take the BTS Skytrain to Asoke station and take exit 3 or 6. If you take exit 3, then cross the underpass, and walk through Interchange 21 to Sukhumvit 23. If you take exit 6, cross the overpass to Interchange 21, and go down to G floor. Both ways will get you to a motorcycle taxi to which you can take to directly to our campus. 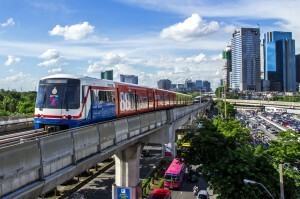 The BTS Skytrain opens daily from 6.00 a.m. to midnight. It takes 1-3 minutes from one station to another. The fare rate changes according to destinations. The fare rates are 15 baht for 1 station, 22 baht for 2 stations, 25 baht for 3 stations, 28 baht for 4 stations, 31 baht for 5 stations, 34 baht for 6 stations, 37 baht for 7 stations, and 42 baht for 8 stations up. 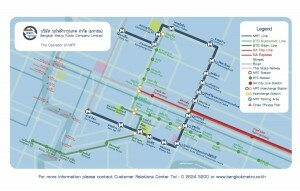 This is a map of the BTS Skytrain. There are 2 main lines of the BTS Skytrain. One is the Sukhumvit line. The terminal stations of this line are Bearing and Mochit stations. Another line of the BTS Skytrain is the Silom line. The terminal stations of this line are Bang Wa and National Stadium stations. You can transfer to the MRT (subway) at the following three stations: Sala Daeng, Mochit and Asoke. Asoke station on the BTS skytrain is the closest to our university. Take MRT to Petchaburi MRT station. You can take either exit 1 or 2. If you take exit 1, turn left and walk along Petchaburi Road, then using the the first overpass, cross to the other side of Petchaburi Road. Continue walking down Petchaburi Road in the same direction. Just past the 7 eleven at the corner, turn right into the small lane – after that keep going straight and you’ll eventually walk over the bridge above Khlong Saen Saeb which will lead you to SWU Prasarnmit. If you take exit 2, then walk back along the Sukhumvit 21 road and go over the bridge to 7 eleven, from there cross the road to the Rutnin Eye Hospital side and walk down the small lane (away from Sukhumvit 21 road) directly next to the hospital. You will see SWU Prasarnmit campus at the end of that lane. 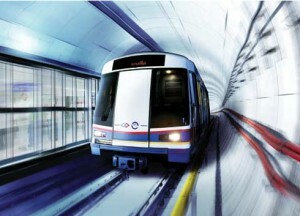 The MRT (subway) opens daily from 6.00 a.m. to midnight. The frequency between trains is less than 5 minutes during peak hours (6.00 a.m – 9.00 a.m. and 4.30 a.m. – 07.30 p.m.) and less than 10 minutes during off-peak hours. The fare rate changes according to destinations. The fare rates are 16 baht for 1 station, 19 baht for 2 stations, 21 for 3 stations, 23 for 4 stations, 26 baht for 5 stations, 28 baht for 6 stations, 30 baht for 7 stations,33 baht for 8 stations, 35 for 9 stations, 37 baht for 10 stations, 40 baht for 11 stations, and 42 baht for 12-17 stations. These fare rates are for adults. They also provide lower fare rates for students, children, and the elderly. In the case of students they must not be over the age of 23 years old and will receive 10% off. For children and the elderly will get 50% off. Here is the map of the MRT which has 18 destinations. The terminal stations are Bang Sue and Hua Lamphong stations. You can use two piers with the Khlong Saen Saeb Express Boat. One is the Prasarnmit pier. You would instantly arrive at the SWU Prasarnmit campus. The other is the Asoke-Petchaburi pier. Then take the same route as you take from MRT exit 2. 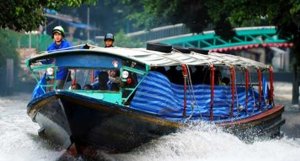 Khlong Saen Saeb Boat Service opens from 5.30 a.m. to 8.30 p.m. on weekdays and to 7.00 p.m. on weekends. The fares are between 10 to 20 baht depending on distance. 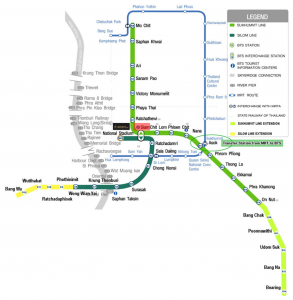 Here is the Khlong Saen Saeb route map. Additionally, you can use cars or buses. However, SWU Prasarnmit is located in central Bangkok which has extreme traffic. Therefore we recommend these three easy ways to all who want to get to SWU Prasarnmit quickly. At Srinakharinwirot University (SWU), we have our own campus superstitions. From the first day of your freshman life,you may hear about some odd student beliefs. Here’s a list of them, straight from the students themselves. that is not a problem for these blood suckers at all. “Kon Gra Dok”. It frequently causes acute human dermatitis. “The Rarely moving piggy dogs” There are at least two fat dogs that usually lazily lay in front of the door of the campus seven-eleven. Are you tired after studying or doing homework? Let’s have something sweet after class! There are surely some snacks or milkshakes campuswide to fall in love with! 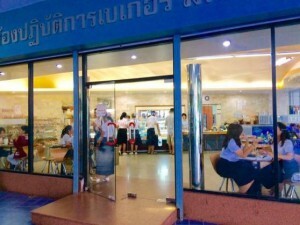 SWU Bakery is the only bakery café on campus and is well-known among SWU students. There are delicious freshly-baked tarts, croissants, eclair, chocolate sticks and bacon twists, pies, to name a few. These can act as snacks or even as a simple meal for busy students on the go! Try it at building 14, G floor. Open daily 07:00 am.-6:00 pm. How about having milkshakes or Italian sodas with snacks after class? Here’s a cheap tasty milkshake that you will want over and over again! There are also many soft drinks and milkshakes that can be combined creating delicious drinks, you can enjoy. The fabulous flavors in these indulgent milkshakes will send your taste buds to heaven! Also there are many snacks you share with friends during break times. “Iced matcha here is the drink that I love most!” Gade, senior of faculty of Fine Arts said with a smile. 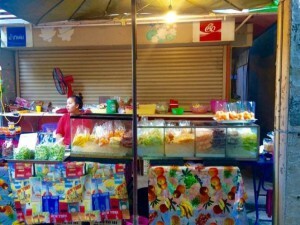 Check it out at Snack & Soft Drink shop, next to SWU photo shop. Healthy eating on a student budget? Why not? We have a fresh fruit shop near Sansab canal. A good and healthy choice for college students. “I’m on diet, I buy fresh fruit here every day because this is the best healthy snack. I can eat as much as I want and it will never make me fat!” Kapook, student of faculty of Humanities shares her opinion on this yummy stall. 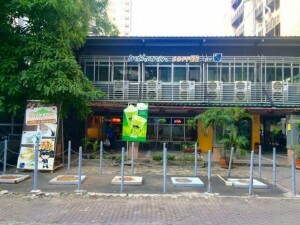 Are you looking for a cafe with free Wi-Fi ? Inthanin Coffee shop provides just that with good service. You can bring your laptop here and enjoy some dessert; a tasty slice of layered coffee cake with a smoothie or a hot drink while doing your homework. Take a break and have a discussion with your friends here! It’s conveniently located behind the humanities building. “I like this café’ because of the air conditioner since it’s too hot for doing homework outside. Also, I love the smoothies here! You should try it.” Palmy, senior of faculty of Social Science .